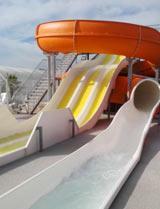 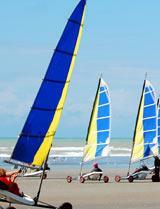 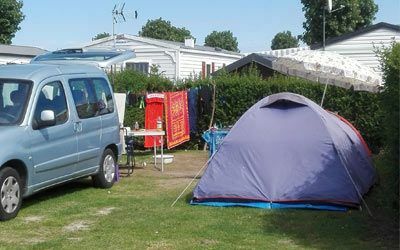 Are you looking for your future camping destination in Baie de Somme? 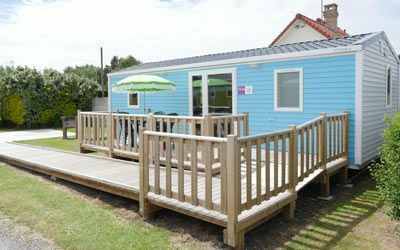 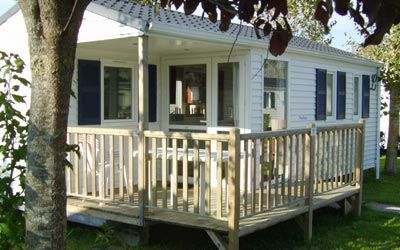 Not far from the sea, the Le Royon 4-star campsite in Fort-Mahon-Plage provides mobile-home rentals just 2 km from the fine sand beaches in Picardy, between Baie de Somme and Baie d'Authie on the Hauts-de-France coast. 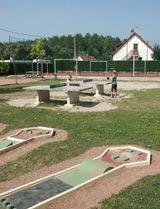 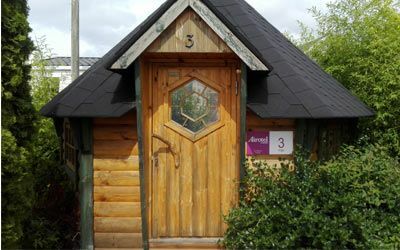 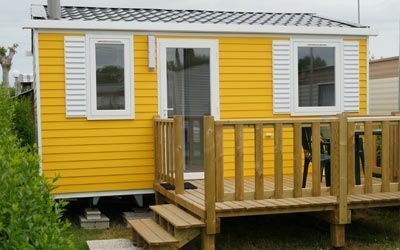 For your stay with your family, friends or your loved one in the Somme region, you can choose between 35 mobile homes for 6, 56 mobile homes for 4 and 4 mobile homes for 2 people on spacious, shaded or semi-shaded pitches. 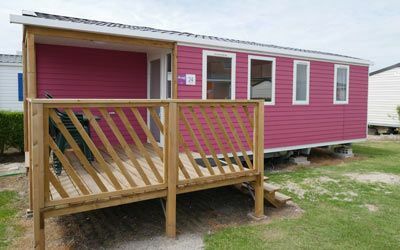 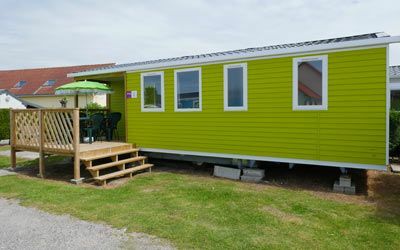 For people with reduced mobility, the Le Royon 4-star campsite has a mobile home for 4 people respecting norms for people with reduced mobility with an adapted parking place and access. 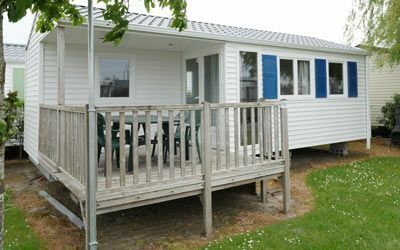 Perfectly equipped, spacious and comfortable, each accommodation has everything you need to enjoy your campsite holiday in Baie de Somme: a mobile home with living room and kitchen, television, individual bedrooms, bathroom and toilet, wood patio with garden furniture and a barbecue. 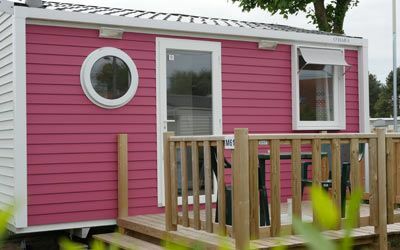 For an extra charge, you also have access to optical fibre wifi. 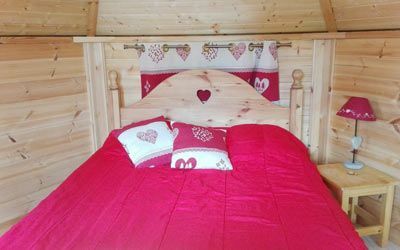 Sheets, pillows and towels are not provided, nor household cleaning products and tablecloths. 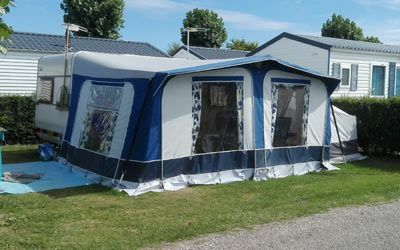 You can buy disposable sheets on the campsite for 6 euros per person. 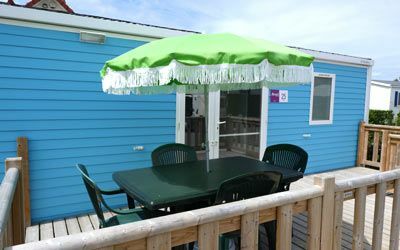 Check-in is from 3 p.m. and check-out before 11 a.m.
Pets are not accepted in the rental accommodation.